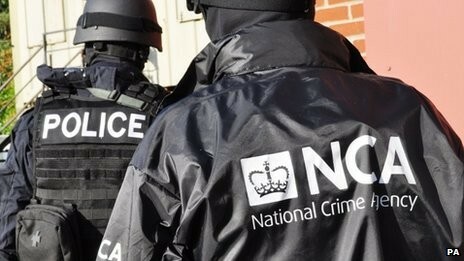 The National Crime Agency – dubbed “the British FBI” – will tackle organised and economic crime, border policing, child protection and cyber crime. It replaces a number of existing bodies but has significantly less funding. Labour said it was a “rebranding exercise” that did not “live up to the home secretary’s hype”. On the day the NCA was launched, Mrs May also revealed the government’s serious and organised crime strategy, which includes plans to ensure criminal assets cannot be hidden by spouses, that assets are frozen earlier and that prison sentences are increased for criminals who fail to pay confiscation orders. The strategy also includes extra funding for regional police organised crime units and a crackdown on foreign organised criminals.